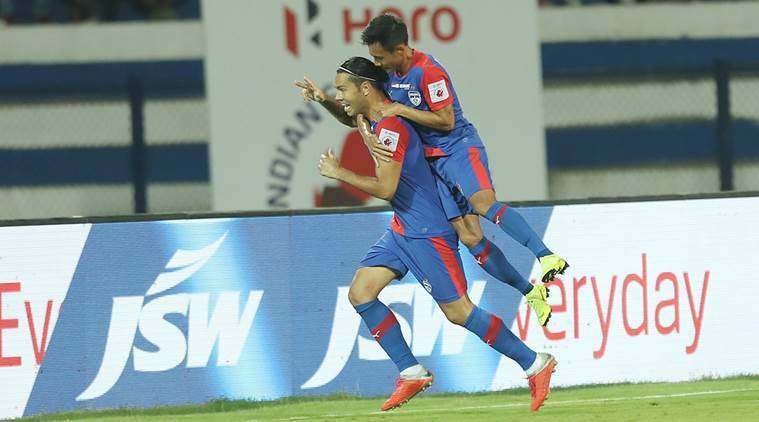 Bengaluru FC vs Chennaiyin FC, ISL 2018/19 Bengaluru FC win 1-0 as Miku’s goal in the first half remained the difference between the two sides. New signing Xisco Hernandez picked up the ball just beyond the centre circle and quickly released Miku. The forward took one touch before arrowing his shot into the top corner, leaving custodian Karanjit Singh with no chance. That proved to be the last piece of the action before the whistle blew for half-time and the Blues entered the break with the lead.